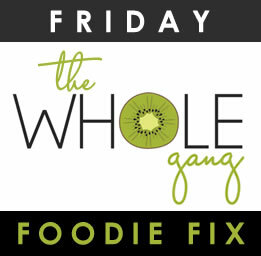 Welcome back to our weekly event, Friday Foodie Fix. This is where you link up your gluten free recipes each week that contain the Secret Ingredient! You will also find each week there will be loads of information on that ingredient so even if you don’t have any recipes to share, you’ll gather some useful information. Make sure you check back to see what recipes have been added. This week’s secret ingredient is Basil. I love the smell of basil. It hooks my nose and drags me in its direction. Basil has those wonderful flavonoids that protect cell structures as well as chromosomes from radiation and oxygen-based damage. It has also been shown to protect against bacterial growth. Basil is also an anti-inflammatory food that can provide important healing benefits along with symptomatic relief for individuals with inflammatory health problems like rheumatoid arthritis or inflammatory bowel conditions. It is also a good source of vitamin A, vitamin K, dietary fiber, magnesium, iron, calcium, potassium and vitamin C.
Always try to buy fresh over dried so you can get the full benefits of the oils in the basil and the flavor. The leaves of fresh basil should look vibrant and be deep green in color. They should be free from darks spots or yellowing. Look for organic whenever possible. Better yet grow some in a pot on a window sil or in a garden. 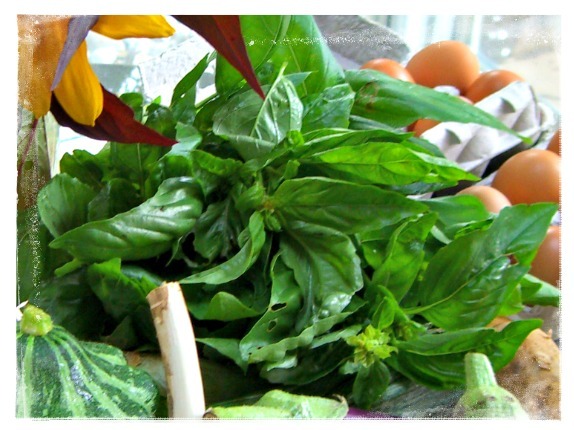 Fresh basil should be stored in the refrigerator wrapped in a slightly damp paper towel. Sometimes I’ll buy the basil with roots at the grocery store and either plant it or put it into a vase and keep it going! The oils in basil are very volatile so add this in at the end of cooking if possible. If you have way too much fresh basil and you’ve shared with others, place some into an ice cube tray with water or in oil and you can have fresh basil in your recipes all throughout the year. Share your own recipe using the Secret Ingredient. This must be your recipe, not copied from someone else. If you were inspired by another recipe you MUST ALWAYS note that in your recipe. Link the URL of your Specific Individual Recipe Post, NOT to your home page. Please link back to this post, not a static page so your readers can find the recipes here. When you link, please tell us what you’re sharing. This is a Gluten Free Resource so please make sure you share gluten free recipes. Recipes do not need to be brand new on your blog, just your own and contain the Secret Ingredient. There is no limit to how many times you can post on any given Secret Ingredient, just Link Back. Next Week’s Secret Ingredient for Friday Foodie Fix is … Edible Flowers! Now it’s your turn to share your gluten free recipes with basil below. Thank you Shirley. Wow that looks and sounds so good!